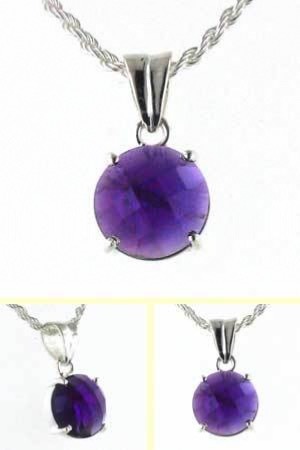 This beautiful classic amethyst pendant has a faceted amethyst gemstone claw set in sterling silver. It is a deep purple colour and each facet of the checkerboard surface sparkles in the light. Inside the amethyst can be seen the natural inclusions formed over the centuries it took to create this amethyst gemstone. 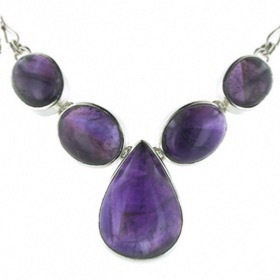 All our amethyst pendants feature natural genuine amethysts. We do not use synthetic "amethyst" crystals or dyed rock crystals, only genuine amethysts. 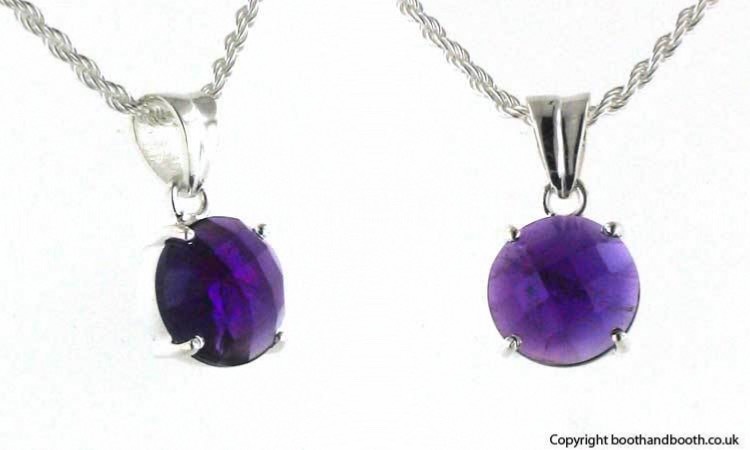 Your amethyst pendant will be boxed and delivered free of charge. For a choice of sterling silver chains to wear with this pendant see our Italian silver chains. 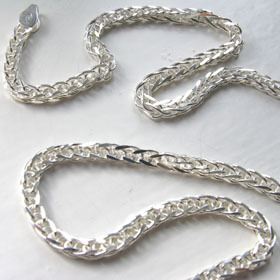 The chain shown is our diamond cut silver rope chain, width 2.3mm.